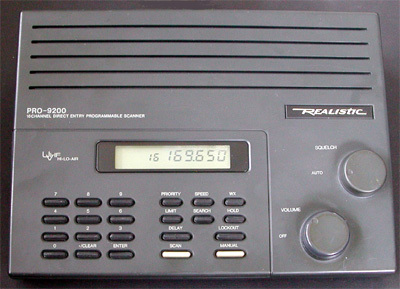 From the outside, the Realistic PRO-9200 looks like the UBC855XLT. The interior however is completely different. 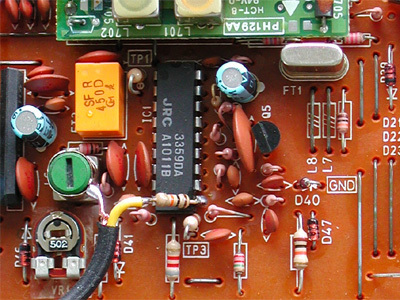 The PRO9200 contains an MC3359 receiver IC. The unfiltered baseband signal can be found on pin 10. 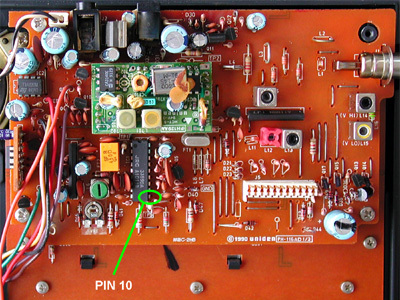 A 10 k resistor is soldered to pin 10 of the discriminator IC. The other lead of the resistor is connected to the inner lead of a short strand of shielded wire. The braid is soldered to the metal housing of the IF coil next to the IC. 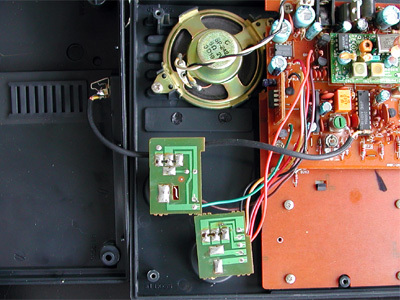 The other side of the shielded cable is connected to a 3.5 mm chassis plug, that can be mounted on any convenient location at the back or the side of the scanner.